Sanders may have been a little too kind to Bernanke. Wall Street On Parade’s research suggests that Bernanke was not so much “asleep at the switch” as he was actively engaged in the plot to bail out Wall Street and keep it a secret from the American people. In 2014 we reported that the details of 84 secret meetings held by Bernanke in the lead up to the Wall Street collapse remained redacted on his appointment calendars more than five years after the crash. 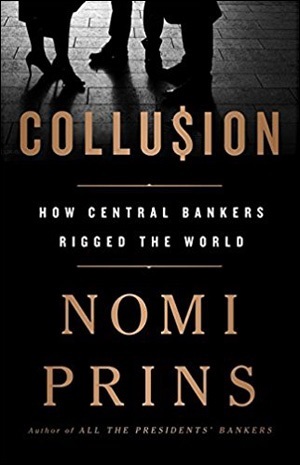 Hopefully, Prins’ latest work will galvanize lawmakers to get serious about reforming both the dangerous Fed and restoring some semblance of free markets to the United States.